breaking the barrier between the real and virtual worlds. Take your gaming to the next level with the Industries leading Omni-Directional Treadmill by KAT VR! This is currently the best on the market. "Ready Player One" Style with 360 degree full rotation with out any obstructions getting in your arms way. 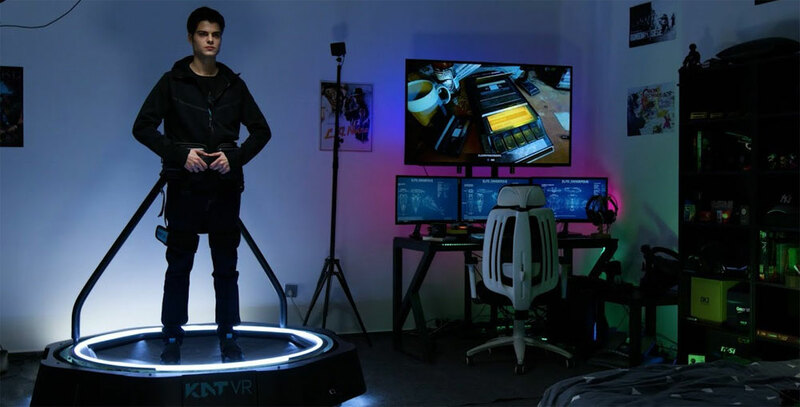 Inrestrictive design and wireless sensors lets players run, walk, crouch, sit and jump in VR. Heightened immersion with less motion sickness. Sync up with friends for group battles! Our new design shrinks the area occupied by the treadmill to 1.76 m² and reduces the machine height to only 62', this in combination with new lightweight material and an improved mechanical structure allowed us to reduce the total weight of the machine to only 190 lbs making it much easier to move and assemble even in smaller spaces. 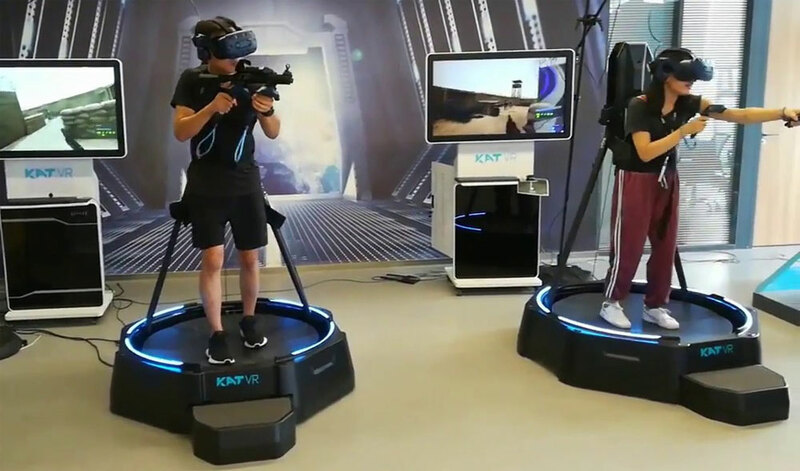 The KAT-VR features our "Natural Walking Experience - Shoes" that are designed to have optimal friction coefficient with the shock absorbing base plate to provide natural walking while protecting your knees. And, they quickly slip over regular shoes. The KAT-VR is half the cost of other inferior ODT's on the market today!